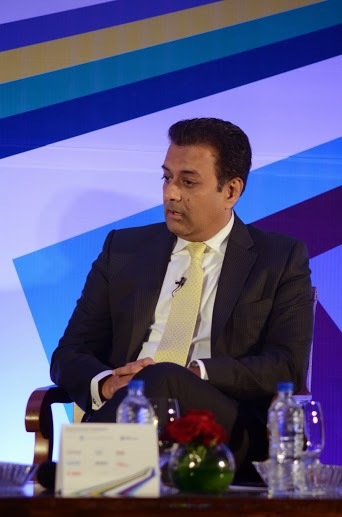 At the end of an enlightening day was an executive panel discussion on India Investment outlook. 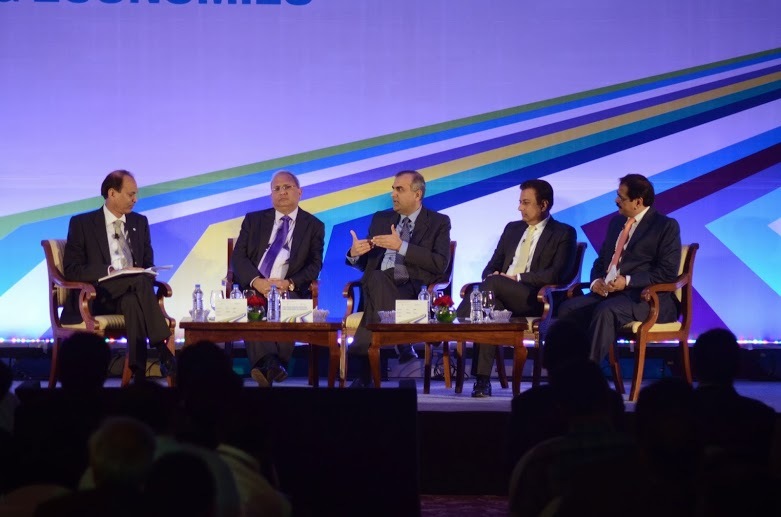 This panel consisted of Samir Arora – Founder & Fund Manager, Helios Capital, Manish Chokhani – MD & CEO, Alliance Holdings, Abhay Laijawala – Head of India Equities Research, Deutsche Bank, and Jayesh Mehta – MD & Country Treasurer, Bank of America N.A. (India). 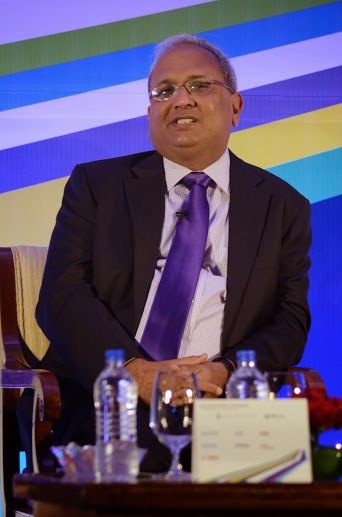 This session was moderated by Sunil Singhania, CFA – CIO, Equity Investments, Reliance Mutual Fund. In the aftermath of the many scams in the UPA II tenure, policy paralysis crept in as many bureaucrats and ministers were sceptical to take decision owing to higher scrutiny. The only way to kick start investments again is that either Prime Minister or any other very senior minister should take the responsibility of the decisions taken by the cabinet. Samir dashed the general pessimism that markets will correct since they are trading at the all time highs. He pointed out that markets have barely reached the level which they were at six years ago. In the current uncertain times stocks with consistent earnings growth will continue to do well. There has been an increasing interest amongst FIIs about India but elections which can change the policy dynamics drastically will add to the uncertainly. Samir favours the midcaps stocks which he believes will outperform the large caps but even amongst large caps there are certain stocks which are very attractive on risk adjusted basis. 80% of his portfolio is in the long term growth stocks while the remaining is in short term momentum ideas and is currently bullish in the US IT stocks. The government consistently raised the expectations which got eroded each time leading to increasing pessimism in the economy. With bottoming growth and peaking inflation, Manish believes that domestically things are changing. Sectors such as Pharma, FMCG, IT, Telecom, Media which have limited correlation to the real economy, have done well over the past couple of years. The next rally is expected in the cyclical sectors which are closely linked to the real economy. 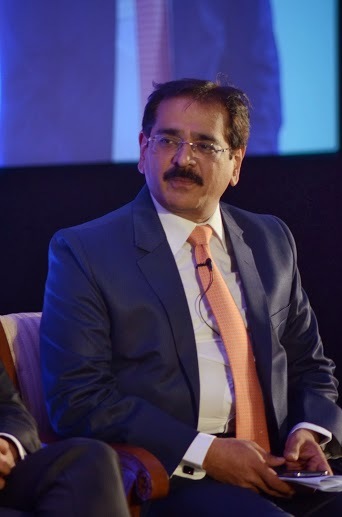 He believes that Real assets are preferred in the times of higher inflation since their value keeps in increasing. For example, the cost of setting up an average cement plant was INR 650 mn in 1980s which has increased to INR 7.5 bn today. He believes that people aged in their 40s make the best entrepreneurs and with the many industrial houses having 40 year olds at the helm, makes him hopeful that things will improve from here on. Foreign money is highly concentrated in top 20-30 stocks which leave open the scope to invest in the next 30-50 stocks which have higher delta as well as are attractively priced. Most of the funds invested by FIIs in the letter half of 2013 came through the ETF route and hence were concentrated in stocks with higher earning visibility and growth. Active money will return to the Indian markets which will be a big positive. QE taper by the US Fed is likely to accelerate which will keep rupee volatile. Emerging market currencies will be distinguished based on the ability of their central banks to internally strengthen and perform. Abhay expects Sensex earnings growth to be 14-15% in FY15 based on broader recovery while consumer sector will underperform as compared to cyclical sectors. The only risk for this expectation is the delay in the turning of economic fundamentals. Inflation will trend downwards and Interest rate will follow. Rupee depreciated the most in the months of June and September when FII flows were negative mainly in debt segment. Jayesh feels that the Fed taper fears are blown out of proportion and doesn’t expect much volatility henceforth. 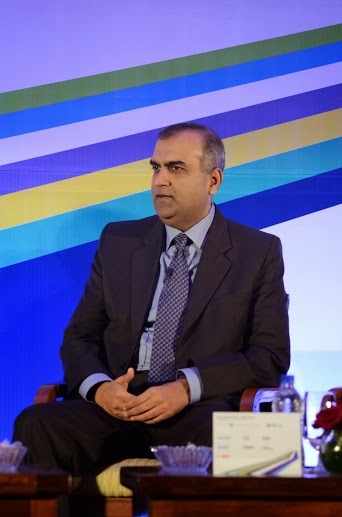 Questioning the widely accepted belief that fed taper has led to money being pulled out of debt securities, he said that foreign debt investors have not pulled out investments from India whereas others who look for arbitrage opportunities, lock in a spread and hence are neutral towards currency movements. Long term bonds are preferable since shorter end of the yield curve lacks liquidity and doesn’t permit building a portfolio. He is of a firm view that unless government takes hard decisions, rupee is unlikely to strengthen. This entry was posted in Events, India Investment Conference, Mumbai and tagged Abhay Laijawala, Alliance Holdings, Bank of America India, CFA Institute, Deutsche Bank, Helios Capital, IAIP, India Investment Conference, Indian Association of Investment Professionals, Jayesh Mehta, Kunal Sabnis CFA, Manish Chokhani, Reliance Capital AMC, Samir Arora, Sunil Singhania CFA. Bookmark the permalink.